Gone But Not Forgotten is a 4 hour miniseries. Scott plays a serial killer in New York who is arrested but beats the charge on a technicality. When similar killings begin in Sacramento, detectives make the New York connection. Brooke Shields plays the defense lawyer representing Scott's character. In a February 2004 interview with Diane Lane she said, "It was (filmed) for Hallmark Entertainment, but it's so dark and gritty they aren't sure now where it's going to air." Movietome.com lists two new Scott Glenn projects I haven't heard of before: Murder on the Hudson, a 2004 movie with Charles Durning, and Wanted, a pilot for a new fall 2004 suspense series about the LAPD's fugitive-apprehension team, with Scott as Bill Spence and also starring Jason Gedrick. Puerto Vallarta Squeeze based on the book by Robert James Waller (Bridges of Madison County) is in post production after filming in Mexico in 2003. The movie is about an American hitman on the run who enlists the help of an expatriate American writer and his Mexican lover to escape through the wilds of Mexico. Also stars Harvey Keitel and the late Jonathan Brandis. "Homeland Security"- did not make the fall 2003 schedule but the pilot was shown as a tv movie on NBC April 11, 2004 starring Scott Glenn and Tom Skeritt. A CIA agent postpones his retirement after 9/11 to work for Homeland Security. Received emails from two actors and a fan who've had recent contact with Scott. The first extra wrote that "An extra was driving too close to him in a scene and he totally went off on the guy. He bitched at everybody, "Make sure those damn extras don't get close too me." Today, he was driving a truck, and me and a friend had to pass in front of him. He said "Make sure those extras don't get in front of me, or I'm gonna bump one of them with this truck" I thought that was extremely rude." Another actor in "A Painted House", writes that he and Scott talked often. On their first meeting, he asked Scott for "permission to relieve bladder," one of Scott's famous lines from "The Right Stuff." He says Scott started laughing, and he has a laugh and smile you can't forget. He says Scott has a great personality and sense of humor. (He illustrated with a story about a banana which I'd better not repeat online!) Scott told him that this was the second year he had missed elk hunting, and that winter is his favorite time of the year. Scott evidently had some trouble driving the tractor in the film, and in one of the scenes he almost creamed some of the extras. In another scene, where Scott is pulling the old truck into the cotton gin, the script called for background action from the extras. But some of the extras kept standing there in the way of the truck. After twelve takes, he says Scott got pretty cranky. He says that Scott is all business on the set, staying in character so much that if one of the extras asked him a question, his answer was based on his character's 1952 perspective! After filming each day, Scott took the time to sign autographs. Between takes, he was "kicking around"; our friend wasn't sure whether it was tai chi or some other form of martial arts. Robert De Niro visited the set on the last day of filming. He wasn't sure if Scott and De Niro are buddies or not, but maybe so since both have homes in the Tri Be Ca section of New York. Scott cooked steak and lobster for the cast when they wrapped up filming. This extra says he has nothing but praise for him. Thanks for sharing ! If you thought you saw Scott in Memphis, you may have. He stayed at the Peabody during filming of "A Painted House", and a fan reports meeting him at Automatic Slims on November 12 -and offers his apology for interrupting Scott's dinner. Casting has been set for A Painted House, the Hallmark Hall of Fame adaptation of the John Grisham novel. Filming takes place for the next few weeks in and around Lepanto and Turrell, Ark. Set in the 1950s during harvest season, A Painted House is seen through the eyes of a boy, Luke Chandler (Logan Lerman), the grandson of cotton farmers. Scott Glenn plays his grandfather, Arija Bareikis plays Luke's mother, and Robert Sean Leonard plays his father. Army Archerd reports: "Scott Glenn and wife, painter Carol Glenn, will host Ellie Weisel at their Ketchum, Idaho, home, April 21 in a $100/head event to fund a campaign by the Jewish community in Idaho to promote tolerance. Glenn, whose heritage is Irish and native American, converted to his wife's Jewish faith when they married decades ago. Ex-Marine Glenn, no stranger to military roles and upcoming in Miramax's "The Buffalo Soldiers," is also working with the Department of Defense in a campaign to assure national support of service men and women engaged in the war against terrorism. " Tim Ryan of the Honolulu Star Bulletin reports that the Diamond Head series deal fell through for "various reasons." Scott Glenn and CBS are now in talks for developing it first as a movie of the week and may, depending on its ratings, reconsider it for a series. 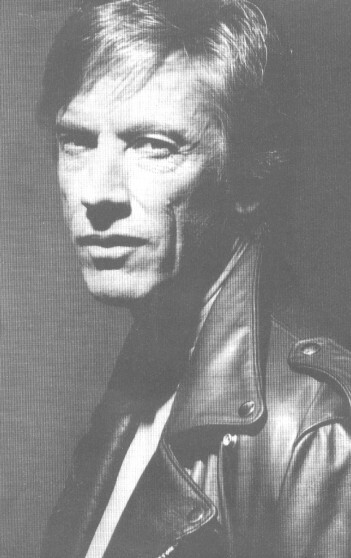 If you happen to know what films Scott Glenn is working on or considering, or when and where he is returning to the stage, be sure to share with us in the Mailbag / Forum ! Entertainment Weekly (www.ew.com) reported that Scott is set to star in a new detective series for CBS next fall called "Diamondhead." Set in Hawaii,it is the latest CBS project for Jerry Bruckheimer, the movie producer ("Pearl Harbor") behind such CBS shows as "C.S.I." and "The Amazing Race." Great news if true! Scott on tv every week! WOW! I used to live near Diamondhead - sure makes me want to move back to Hawaii! The executive producer of the movie "Pearl Harbor" hopes to film a television series on Oahu called "Diamondhead" that would air on CBS as early as the 2002-2003 season. Warner Bros. TV-based Bruckheimer Films sources confirmed yesterday that Jerry Bruckheimer will develop three scripts for CBS, with one guaranteed to be turned into a pilot. CBS has already approved two "concepts" under the deal with Bruckheimer, one of which is the Hawaii-based crime-action series "Diamondhead." However, a Warner Bros. TV spokesperson yesterday said the show is in its infancy, or "concept stage," and may not happen. The earliest the pilot would be filmed on Oahu would be in January or February (2002), Warner Bros. officials said. Scott Glenn will star in the hourlong "Diamondhead" as retired Navy SEAL John Caine, who moves to Hawaii to set up his own private-eye business. The stories are based on Charles Knief's books. The screenwriter is Billy Devlin. The show would reconnect Hawaii with CBS, which also aired "Hawaii Five-0" and "Magnum, P.I." The Seventh Stream Showbiz Ireland <http://www.showbizireland.com> reports that filming has commenced on the fantasy film "The Seventh Stream" which is about a mythical woman (Saffron Burrows) who can become a seal in water and turn back into a human on land. The $15 million budget flick is currently in progress at Connemara in Ireland and also stars Scott Glenn. Scott Glenn and Saffron Burrows will star in The Seventh Stream, a fantasy television movie for CBS' Hallmark Hall of Fame, according to The Hollywood Reporter. John Lynch (Sliding Doors) will co-star with Burrows (Deep Blue Sea) and Glenn. Stream tells the story of an Irish fisherman, Owen Quinn (Glenn), who is recovering from the death of his wife and who falls in love with a mysterious, beautiful woman (Burrows). The woman's arrival brightens up the life of the entire village, but as Quinn uncovers details about his new love's past, he stumbles upon a mystery straight out of Irish folklore. John Gray wrote the screenplay and will direct. Filming of the movie is set to begin this month on the western coast of Ireland, the trade paper reported. I just found a prerelease site for Great White Shark, directed by James Cameron, which lists Scott in the cast. I hadn't heard anything about this movie! The release date was scheduled for July 2001 - Did I really miss it? Filmed but not released?? If you know anything about it, please share info! Also found an old news byte about a Showtime movie called "Deep Sleep" which was supposed to be filming in 1993 and starring Scott. Anybody know anything about it? Faith of My Fathers, Homeland Security, and Gone But Not Forgotten are now available on DVD. Code Breakers is currently showing on ESPN and I believe may also be available on DVD. I'm not in the loop...I have no contact with Scott Glenn... So the only gossip I'm likely to hear will come from you or from what I can search out on the web! Please visit our Mailbag / Forum and share!